We examine messages posted by Italian users on the social networking service Twitter to investigate idiosyncratic shocks of happiness. Contrary to questionnaires, analyzing social media allows to nowcast happiness in real-time, including mapping its fluctuation due to the occurrence of extemporaneous facts. Our data set comprises over 43 millions of tweets posted on a daily basis in all the 110 Italian provinces and collected during 2012. 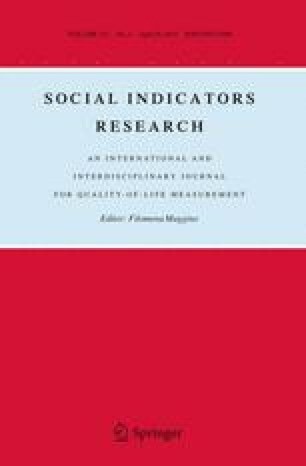 In measuring happiness, we construct an original index using innovative statistical techniques to quantify the level of happiness at the provincial level related to a specific amount of tweets. We then explore the determinants of happiness in our sample. Static variables such as the overall quality of institutions seem to matter only marginally in affecting the average level of happiness of the Italian provinces. On the contrary, meteorological variables and events related to specific days, such as the variability of the spread between German and Italian Bonds or the payday, have the largest impact. Choy, M., Cheong, M. L., Laik, M. N., & Shung, K. P. (2011). A sentiment analysis of Singapore presidential election 2011 using Twitter data with census correction. http://arxiv.org/abs/1108.5520. MacKerron, G., & Mourato, S. (2012). www.mappiness.org.uk.